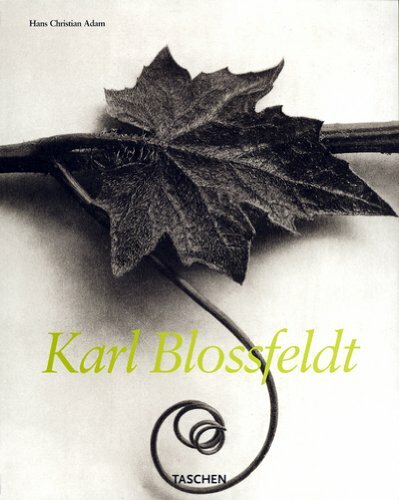 A serious man who earned his living as a teacher, Karl Blossfeldt (1865-1932) seems an unlikely candidate for aesthetic canonization. But his photographs of plants, which he took in the thousands over more than thirty years, reveal a formally rigorous talent whose precision and dedication bridge the nineteenth and twentieth century worlds of image making. Beautifully but starkly composed against plain cardboard backgrounds, Blossfeldt's images, relying on a northern light for their sense of volume, reveal nothing of the man but everything of themselves. They are still-lifes, piercingly final statements on their subject, and have endured owing to their technical brilliance and the ongoing fascination of students and photographers. Like their maker, they are quietly and lastingly effective.